It is not very practical but I love the wooden floor in the bathroom in the top right image. oh! i LOVE the wooden floor too! wish there were a way to have it safely! I love my bathroom, but now I love this look more – help! 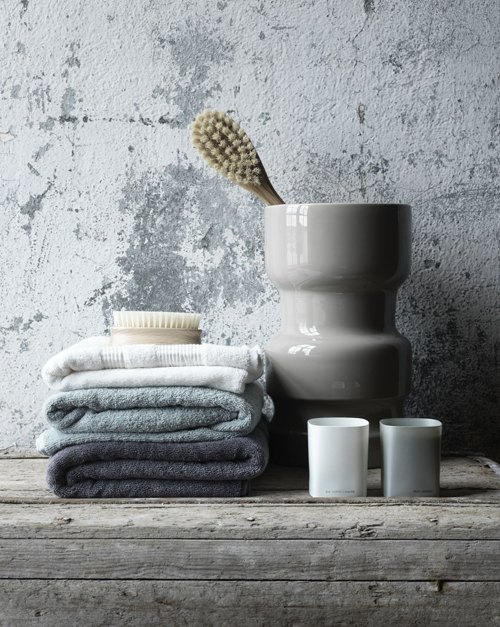 Different shades of grey look great together like here, with weathered wood, or driftwood. I´m all about texture! I love me some grey wherever I can get it! 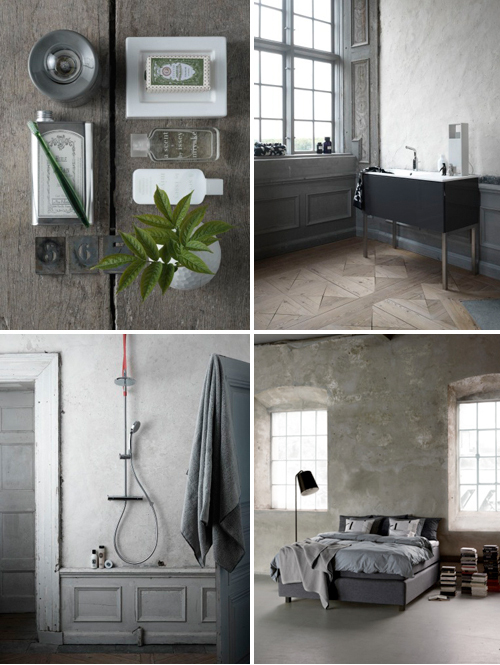 Oh I am so in love with bathrooms and the color grey! Actually, a wooden floor isn’t as unattainable as it seems. Or rather: a floor that looks like wood. There are a variety of tiles available that mimic wood, even the grain is included. Some of the more up-scale versions are wood-like enough to pass muster even upon close inspection. So, so beautiful. This whole post is just delicious. Absolutely beautiful photos and colors. I actually love dark slatey grays as well…with dark, slatey blues! You just cannot achieve these looks in a new house….. I love older architecture with the unmatchable character and sort of rustic freedom that only comes with aging. I live in an old cement home with old cement and brick patios and winding paths through gardens with chipped and weather worn statues and garden ornaments. This is the feel I get from these bath photos….Just gorgeous! love the aged, textured look of the wall in the top photo. so lovely. and at the very bottom, the ultra sleek bathtub in that high-ceilinged classical greek-y room. drool. Gorgeous! My whole house is gray and white but the bathroom needs a do-over (came with dark wood cabinet sinks and tan travertine flooring/tan marble tiles) because it doesn’t really work with the gray. Loving that top image a lot! Wow that last image is beautiful. 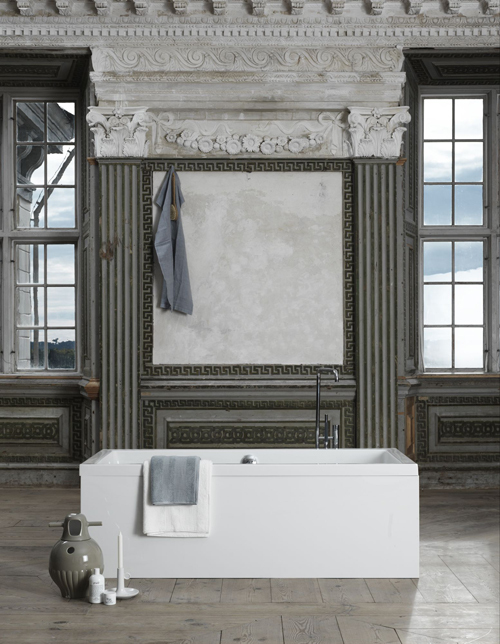 Just the contrast between the solid bright white geometrical bath and the rugged feel of the rest of the room. Really nice. What bathroom vanity, style and color, would look good with wood cedar walls and tan ceramic flooring?